Annie and Ollie were, at first, dubious about moving into this former student house in Twickenham. After some persuasion from Ollie, they decided that with tender loving care, they could turn this worn down 1930s property into their dream home with a kitchen extension. Working with architect Kevin Gould, they demolished the conservatory and extended the rear to create more space. 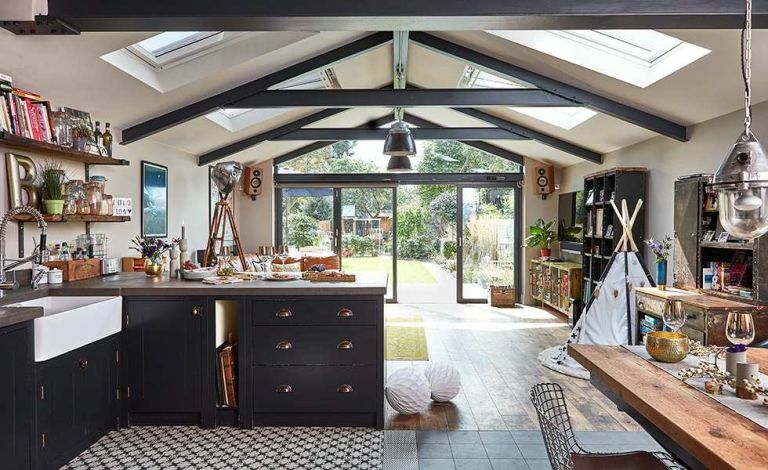 They used the kitchen units and flooring to divide the open-plan area, and installed roof beams to get the look they really wanted. Discover how they did it, then check out more real home transformations and find out more about extending a house in our guide.